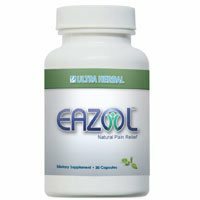 Eazol is an FDA – registered homeopathic pain reliever. It is made from various herbal extracts that are known to reduce joint and muscle pains. It is specifically formulated to address the problems of people that have been long suffering from joint pains. While other joint products aim in boosting the body’s nutrients that will help joint health, Eazol works through a combined analgesia and anti-inflammatory effect. It is said to reduce pain effectively without the harmful side effects that are mostly present in other analgesic medications. Digest It is sold online via manufacturer’s official website and on other retail stores. It reduces joint pain, may it be in the shoulders, knee, arm, or back area. It reduces muscle spasm and soreness. It improves flexibility and mobility. The manufacturer has been in the nutraceutical business for many years now. They started in the year 2002 and has established a good reputation for manufacturing health and beauty. The company is a member of the Natural Products Association. What’s in Eazol Pain Relief? Lobelia Extract – The extract from Lobelia is known for its analgesic effect. It is believed to reduce joint pain, muscle aches, and soreness. White Willow – White Willow contains Salicin, which is a component of Aspirin. Salicin produces analgesic and anti-inflammatory effects thus making willow extract effective for treating joint pains associated with arthritis. Boswellia Serrata – This herbal component contains an active ingredient called tannin that also has anti-inflammatory effect. It reduces spasm within the joints and muscle which then contributes to gradual reduction in pain. It contains all – natural ingredients. It is an FDA – registered pain reliever product. It produces less to no side effects at all. There are no published researches or clinical trials that can verify the efficacy of the product. The recommended dosage is one capsule in a day to be taken after meals. An additional dose can also be taken whenever there is breakthrough joint or muscle pain. The supplement is best taken after meals to avoid stomach irritation and also to aid in absorption. Do not use the product if you are pregnant because some of its ingredients are known to be harmful when taken during pregnancy especially during the first trimester. It is also advised to avoid the product when giving breastfeeds to your child. Do not take the product together with antacids like Pantoprazole, Esomeprazole, Tums, Ranitidine, and others. Eazol reduces the efficacy of these medications. Give them at least 2 hours gap prior to taking the other one. Take extra precaution when you are under lithium therapy. Eazol can cause a diuretic effect which can then affect the elimination of lithium. It can then cause lithium toxicity and that imposes serious medical problems. Talk with your doctor about adjusting your lithium dosage. Do not take the product if you are taking medicines that affect slow blood clotting because Eazol can increase the risk for bleeding. These medicines include: Aspirin, Heparin, Warfarin, Ibuprofen, Clopidogrel, and Naproxen. Always consult your doctor prior to taking any herbal supplements because it can cause interaction with some medicines that you are already taking. Worse, some herbal supplements can even cause harm if you are already having other medical complications. There are some physicians that have recommended the use of herbal supplements for addressing joint pain. Eazol is one of the supplements that has been registered under FDA and is therefore safe for consumption. However, since this is a non-prescription supplement, any people can buy it from any pharmacy. The secret behind is to always ask your doctor prior to taking this supplement. Eazol has not been specifically endorsed by any prestige or well-known medical professional/ institutions. There are also no scientific clinical trials that prove the effectiveness of Eazol. The good thing about Eazol is that it is registered under FDA, however being registered does not actually guarantee its effectiveness as a pain reliever. It would have been better if Eazol conducted clinical trials or research that can show the effectiveness their product. There are many joint supplements that is tested and proven effective by various institutions. It would have been more convincing if Eazol received similar trials.